The classic Hollywood line is you can’t be too rich or too thin. 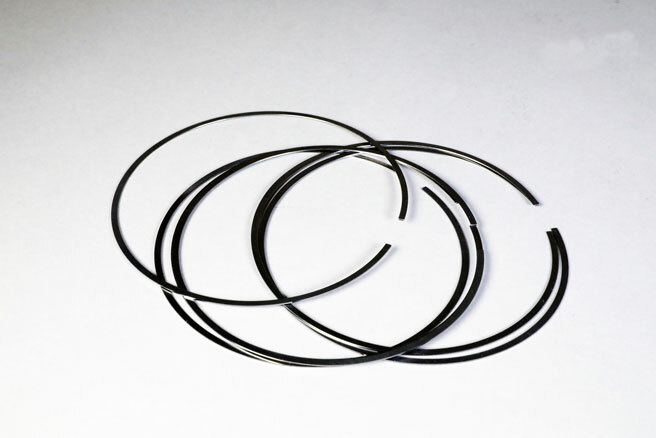 While full-figured starlets may now be finding favor in tinsel town, the too-thin line is still in vogue when it comes to piston rings. It wasn’t all that long ago when state of the art racing piston ring thicknesses hovered between 1/16-inch and 0.043-inch. The current state of production engines now employs ring thicknesses of 1mm and even down to 0.8mm. Since 1 mm equals 0.039-inch, that places an 8mm top ring at barely 0.031-inch. 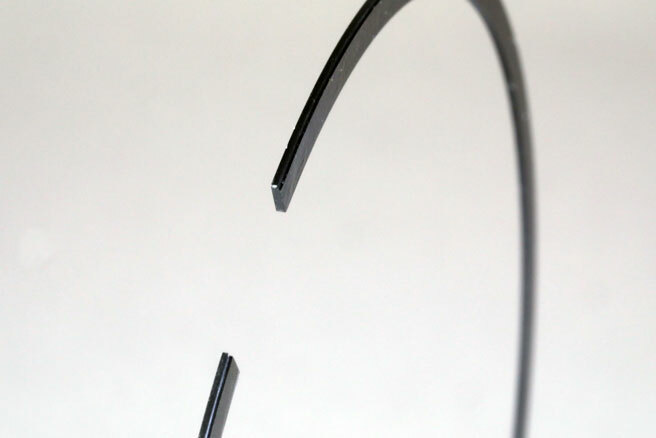 The benefits to thin rings are multifold and worthy of discussion. The supporting mechanical reasons for this rush to be too thin are nearly universally beneficial. Let’s start with a discussion of how a ring actually seals to the cylinder wall. 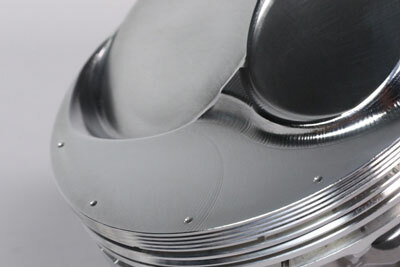 If you’ve ever assembled an engine you know that piston rings need to be compressed slightly to fit into the cylinder and it requires a bit of effort to shove the piston down, especially if the piston is fitted with the old standard 5/64-inch ring package that was almost universally used for engines right up to roughly 20 years ago. When the radial depth of the ring is reduced, so is the tension. Gas ports are one way to get a ring to seal well on the combustion stroke, while reducing friction on the other three strokes (intake, compression, exhaust). The effort required to push the rings against the cylinder wall is generated by the ring’s radial tension. A given load is required to create sufficient sealing against the cylinder wall. Basic physics tells us that the larger the ring face area touching the cylinder wall, the more radial tension is required to achieve the desired load. This greater outward tension creates more friction as the piston travels up and down the bore. Conventional wisdom holds that roughly 50 to 60 percent of the total friction generated by a typical internal combustion engine can be traced to the piston and rings. Even more amazing is that a solid 50 percent of the piston and ring friction can be traced to just the rings. So, we’re talking about measurable gains for anyone looking to reduce friction as a path toward “free” horsepower. The potential gain is even greater for engines with increased stroke because the piston travels a greater distance, creating more friction. In some applications JE custom ring services grinds and laps rings to custom thickness. They can also back-cut and coat rings for racers looking for that something extra. Given that a large percentage of friction occurs in the interface between the piston rings and the cylinder wall, even the OE’s are paying attention. Production engines like the Gen III/IV LS families have addressed this by reducing ring thickness down to 1.5mm. The current gasoline direct-injected LT4 supercharged Corvette engines are now fitted with an even thinner 0.8mm / 0.8mm / 2.0mm ring package. Taking this one step further, we calculated the actual contact area of an older 5/64-inch (0.078-inch) ring for a 4.00-inch bore cylinder and then compared that to a more modern 1mm (0.0393-inch) ring by calculating the circumference times the face thickness. To make it simple, we assumed a ring with a zero gap. The actual contact area numbers are less important than the difference in in contact area expressed as a percentage. 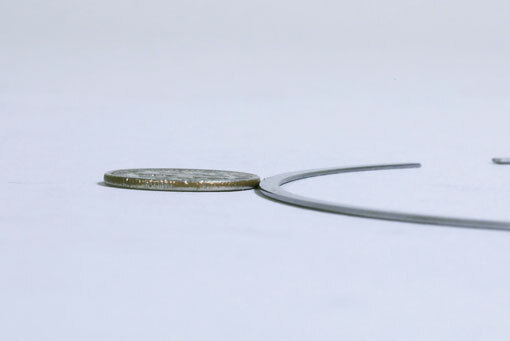 The smaller 1mm ring produces nearly a 50 percent reduction in area. There is only so much real estate on the crown of a piston. 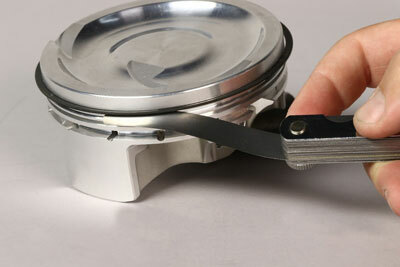 In addition to reducing friction, thinner rings make stroker pistons with very short compression heights possible. It makes sense that just making the rings thinner would reduce friction, but the benefits are even greater. A specific ring thickness must create a given static load or pressure against the cylinder wall to help it seal. 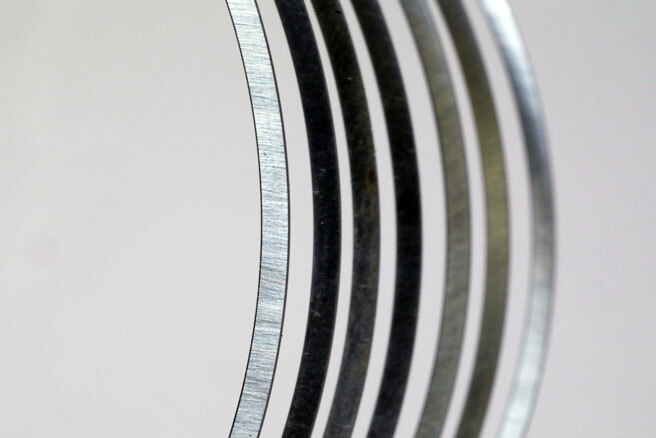 A thicker ring requires more outward (radial) tension because of its larger surface area. But by reducing thickness, this allows the designer to also reduce the radial pressure to compensate for the reduced surface area in contact with the cylinder wall. This may be difficult to grasp so let’s use an analogy. Let’s say you weigh 200 pounds and decide to take a walk in deep snow in the woods. Standard shoes sink into the snow, but snow shoes with a larger contact area create a reduced load per square inch. Applying this analogy to a thinner ring (a smaller contact patch on the cylinder wall) calls for a reduced total load since the contact area is smaller. The thinner ring demands a reduced axial load so the thinner ring’s load per square inch is similar to that of the older, thicker version, albeit without the friction tax. JE custom ring services such as grinding, lapping, and coating were previously top-secret Pro Stock and NASCAR-grade tech. Within the three-ring package on a typical automotive piston, the oil rings create the highest individual tension or load. This load is applied through the design of the middle portion of the ring called the expander. Recent improvements in expander design have reduced the friction while still allowing the ring to remove oil from the cylinder wall. Drag racers have known for decades that one way to minimize friction is to reduce the tension of the oil ring by using an expander designed for a slightly smaller bore. While this does reduce friction and improve power, the tradeoff is increased oil consumption. This is generally not a problem for a limited use drag race engine but certainly not a wise move for street or endurance engines. Modern rings are made from stronger material and can have profiled faces that assists in sealing and oil control. A HOT ROD Magazine test in which the Westech Performance Group, led by Steve Brule’, dyno tested a 377-ci small-block Chevy fitted with a set of JE pistons configured with a 5/64- / 5/64- / 3/16-inch standard performance ring package. This 377ci engine was configured with a 4.155-inch bore and a 3.48-inch stroke. With the average power recorded over three runs, they disassembled the engine and replaced the pistons with an identical set machined for a thinner 1.2mm / 1.2mm / 3mm JE Pro Seal ring package. The results revealed a peak horsepower improvement of 6.8 hp and a peak torque increase of 3.8 lb-ft on an engine making 458 hp and 433 lb-ft of torque. 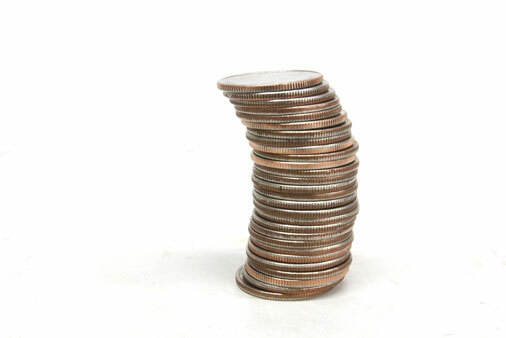 Just as this stack of coins illustrates, cylinders are often not straight. Even if machined perfectly straight, under operation, cylinder pressure and loading in the block can distort them. This is especially prevalent in aluminum engines with thin sleeves. While many were surprised that the improvement increase was not a greater number, there are several factors at work here. The peak horsepower numbers were generated at 6,000 rpm. Had this engine generated peak horsepower at higher engine speeds, the results would have been even greater. Another variable is stroke. As Perkins mentioned in his story, had this test been performed on a longer stroke engine like a 4.25-inch stroke big-block, the results would have been commensurately greater. 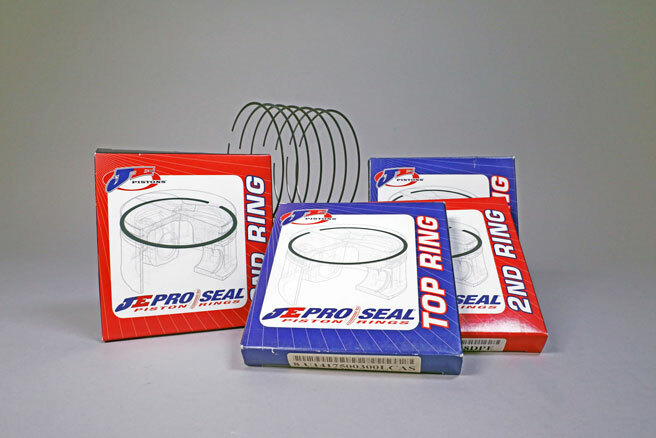 Thinner piston rings are made from carbon steel, which allows them to be stronger than thicker, cast iron rings, while still reducing friction. This trend toward thinner rings also enhances ring seal because the thinner ring has a better chance of sealing to a cylinder bore that is usually not completely round or concentric. Think of a cylinder bore under dynamic load as a tall stack of dimes. When measuring cylinder bore, imagine that you are measuring it in the area occupied by just one of those dimes. If the bore is measured in several places, the diameter may read the same which many would then assume “proves” the bore is round over its entire height. 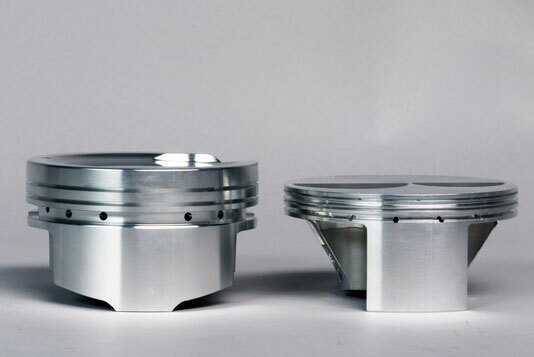 However, when the cylinder is viewed from the side, the bore may in fact be more in an S-shape as opposed to being perfectly “square” top to bottom. Assuming the bore is distorting under load, a thinner ring will have a much better chance of conforming and sealing to that S-shaped cylinder wall. For reference, here is a racing-style top ring as compared to a well-worn dime. 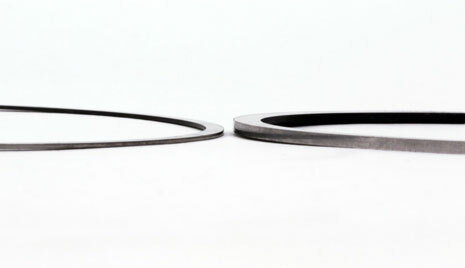 Any discussion of “thin” rings must also include what the ring engineers call axial ring width – or the width of the ring as viewed from the top. 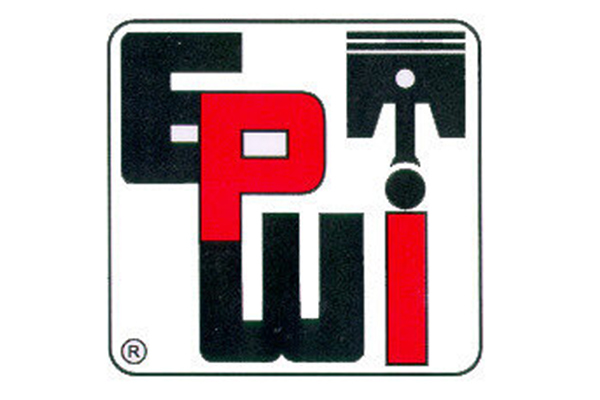 The SAE has established a standard automotive piston ring axial width using the formula bore diameter divided by 22. So a 4.00-inch bore / 22 = an axial width of 0.182-inch. However, reducing this standard width lowers the radial ring tension even further. Often this is done to improve strength in race pistons where the ring package is very close to the top of the piston, leaving very little room between the back side of the top ring and the valve relief. Being rich and thin are often associated with fame and rock star status, but when it comes to thin rings, that’s just something that will make your engine a bit more powerful. And that’s just a whole lot more fun. This chart lists the more popular ring thicknesses. Engineers call this dimension axial height – but that doesn’t exactly roll off the tongue.